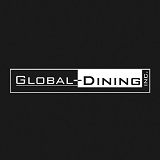 Global Dining is currently looking for a manager level candidate (or a few) to join our restaurant(s) and lead the team of professionals. Various locations available, supervisor and assistant manager level are welcome as well. We are open to any nationality and gender, as long as you have a relevant experience and are capable of running the business. - etc depending on the experience. Transportation covered, performance bonus for meeting sales targets available twice a year. Send us your resume and tell a bit about yourself!